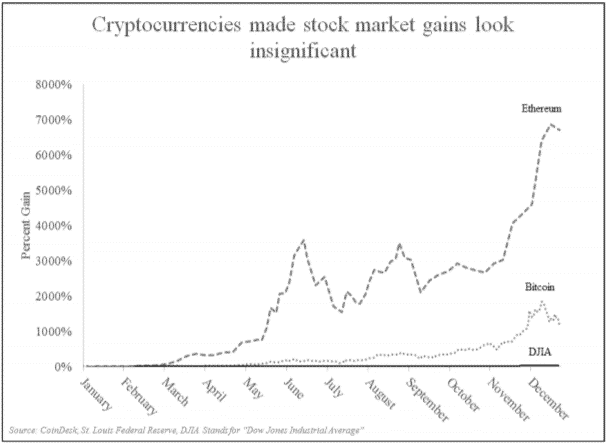 "Building a secure future, one blockchain at a time"
The recently released 2018 U.S. Joint Economic Committee report contained no less than 92 references to the term “blockchain”. The report outlined an overall positive view of the technology and its potential in business and record keeping. …health records could also assist by reducing paperwork burdens and preventing medical errors (one of the possible application of blockchain technology). Blockchain technology, discussed more fully in Chapter 9 of this response, could provide a powerful solution for portability, enabling medical records to be carried on a smartphone or other mobile device with very little risk of being vulnerable to cyberattacks. …Blockchain technology has the potential to help the economy function more efficiently and securely. 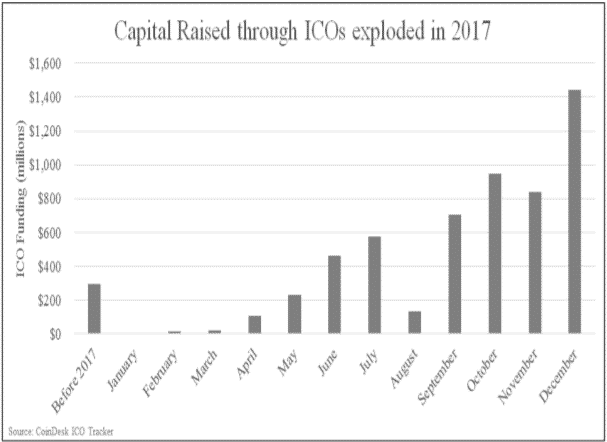 The report also included some interesting stats gathered from various news sources outlining the meteoric gains in cryptocurrencies and ICO investments made during 2017. It is important to proceed with prudence and provide proper guidance to the market, as discussed in Chapter 4 on regulation, and not prejudge and hinder technological developments. The new technology also may be attractive for Government to use, improving efficiency in its own operations. Additionally, SEC Chairman Clayton started warning against unregistered securities offerings, fraud, and pursuit of superficial name changes such as the one undertaken by Long Island Iced Tea. The final recommendation paints a positive picture towards blockchain and goes so far as to encourage U.S. government agencies and individuals to familiarize themselves with the tech.